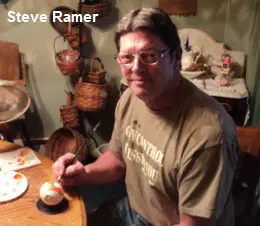 Steve Ramer is a ball player in the Lehigh Valley MSBL located in Pennsylvania. He is also an artist who paints baseballs, bats, home plates and all things baseball. Before his season ended last year he created championship baseballs for each team that had a chance to win their playoffs. He does the artwork for one ball then has a company reproduce them for the players. 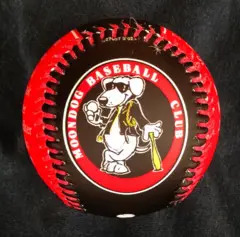 Each ball is priced at $34.95 apiece. Steve worked up some samples and showed the balls to players on his team and other teams in the league and they loved them. 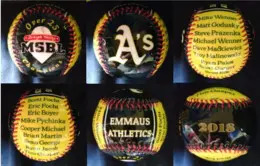 Each ball has the MSBL logo on the front along with the division and the year that each team won the championship. Specialized baseballs for any occasion are also encouraged. The reverse side will have the champion’s team logo. The remaining two sides list all the player’s names that are on their roster, as an example. 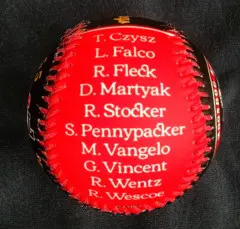 The top of the ball has the team’s name and the bottom of the ball has the year and they are of course all reproduced in the team’s colors. 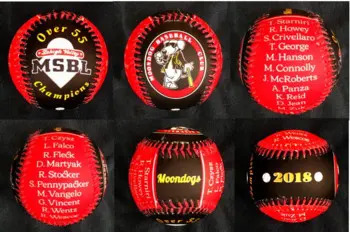 Steve is also available to design championship balls for MSBL tournaments, the World Series in Arizona, etc.